A few weeks ago I was asked if I would like to receive a sample of some Collagen+ Beauty Milk and before taking to Google to see what it was I made a presumption that it was a delicious sounding moisturiser, but after a little look online I figured out it was a protein shake! I was intrigued as I am not usually one for buying protein shakes so I accepted and waited for a parcel to arrive. "Collagen+ Beauty Milk is truly unique collagen beauty drink enriched with essential vitamins, potent antioxidants and hunger fighting protein! Enjoy at breakfast or in between meals as a versatile, healthy snack. Consume daily for visible results." 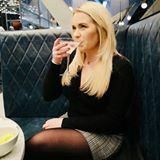 I have never been a big lover of protein drinks to be honest, my partner drinks them regularly and when I have tried them before I haven't been too keen as they leave a weird powdery aftertaste in my mouth, however who doesn't want to try something that is said to be good for you and curbs hunger?! The bottles are very pretty and much more appealing to me than what I usually see protein drinks packaged in, you know the ones I mean, the white masculine bottles with big 'strong' bold writing on. These bottles are small enough to pop into your handbag too so you won't feel like your carrying round your kitchen sink. Each bottle is packed full of goodness and I was really impressed with the flavour. It is just like a delicious strawberry milkshake with NO weird powdery aftertaste! Most skin support products come in the form of creams and only benefit the surface of the skin. Collagen+ Beauty Milk contains Hydrolysed Collagen helps support the skin from the inside out and can support improved skin elasticity and hydration. Collagen+ Beauty Milk contains nearly 12g or high quality protein from collagen and fresh milk protein sources. Proteins provide the essential building blocks of your body, your muscles, your bones, your skin, your hair and almost every organ, cell and tissue in your body. Consuming enough protein each day is essential to your inner and outer help and whats more, protein can also help keep you fuller for longer meaning you’re less likely to reach for those unhealthy treats! Green Tea Extract is a powerful and natural antioxidant and can help defend your body against damaging effects free radicals. What’s more, green tea extract has also been linked to the promotion of a healthier metabolism which results in a greater ability to lose weight. Collagen+ Beauty Milk is also bursting with all important vitamins and minerals to help keep your immune system, in tip top shape. 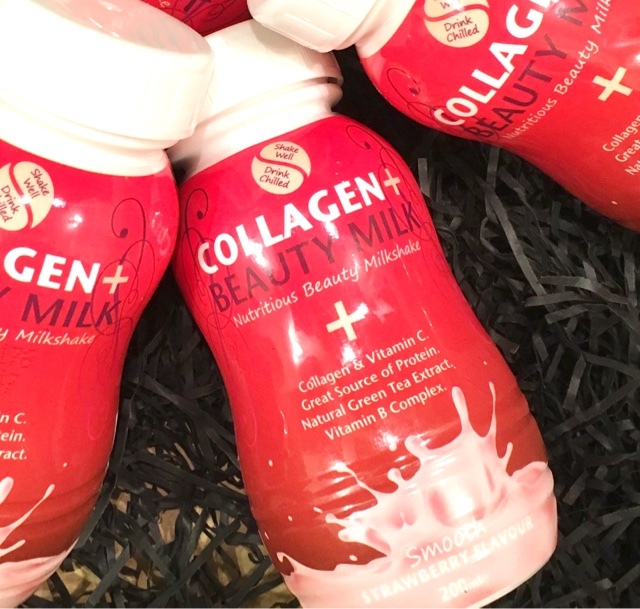 Collagen+ Beauty Milk is a truly unique, scientific and delicious way to nourish your body from the inside out. For best results, we recommend consuming 1-2 bottles per day as part of a healthy and balanced diet plan. Use alongside breakfast, in between meals or following exercise or activity." 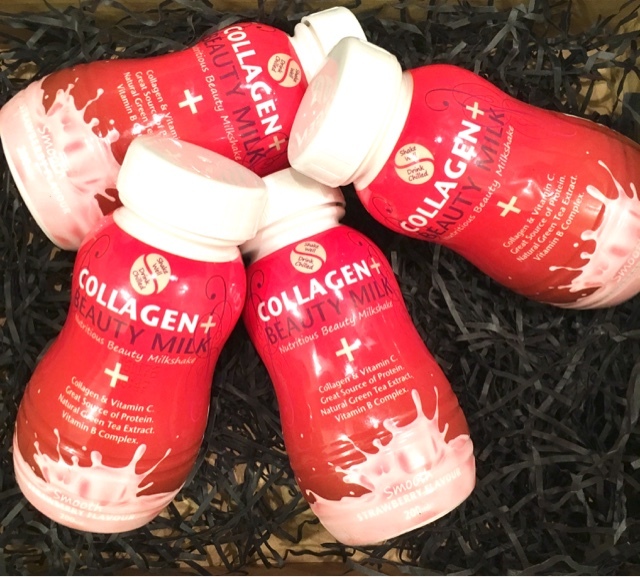 The Collagen+ Beauty Milk can be purchased from The Protein Drinks Co online and they are currently on sale for the small price of £10.00 for 12 bottles (usually £24.00 - LINK HERE) and delivery is £4.99, which I think is pretty reasonable, or FREE on orders over £30.00. I received 6 bottles from the company however my other half drank some of them (he couldn't resist) so I can't give a full review of the long term benefits but I am thinking of placing an order so if I do I will do a follow up post to let you know how I get on. Overall I am really impressed with these shakes and as I am considering placing an order I would say I am convinced that not all protein shakes taste disgusting as this one definitely does not, it's delicious! Do you currently use any protein shakes/snacks? I would love to know what you like or dislike and if you do see the long term benefits of having them. I don't drink protein drinks or eat protein snacks, but I do feel slimmer if I eat more protein vs. carbs. I've heard a lot about these recently, I'm thinking about trying some protein shakes so this post was really useful, thank you. I'm not a huge fan of protein shakes, but these actually sound delicious! Sounds yummy. It's also great that it's not too high calorie. 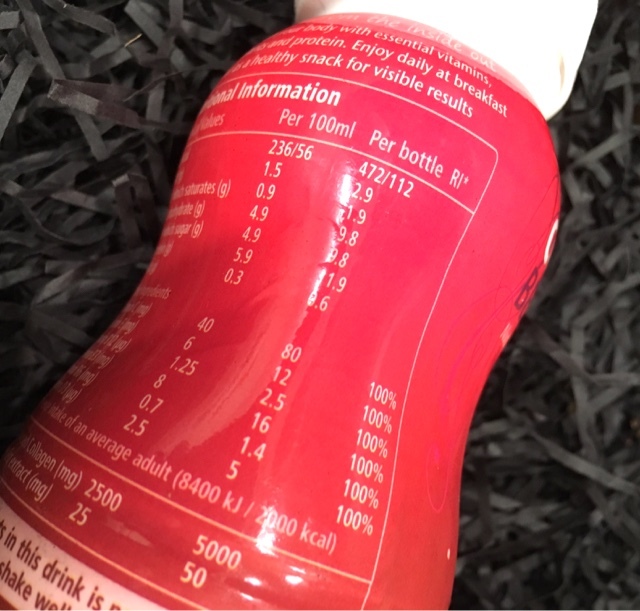 I don't count calories, but sometimes drinks like this are so high in cals and you add them to your diet without really thinking about the extra you're taking in. I've never tried a protein shake, but maybe it's something I should try! I've tried them in the past. They were very enjoyable. I should really order some more. I don't really use them either. It's good that these don't have that powdery aftertaste I remember trying a protein drink years ago and it had that and I never tried another. I like protein shakes as long as they are low in sugar as they fill you up quicker. I only do anything protein shake related when I'm into full swing of training season... which is coming up! Always wary of pre-made ones because of the sugar content. The bottles are really pretty. Would love to try it. We've never tried protein shake as we always thought they tasted disgusting...but this one sounds kinda nice! These sound awesome but I'm not allowed them as the collagen isn't vegetarian - boo! Love the concept though.